is where we sell our unique cards, gifts, toys, miniatures and lamps. 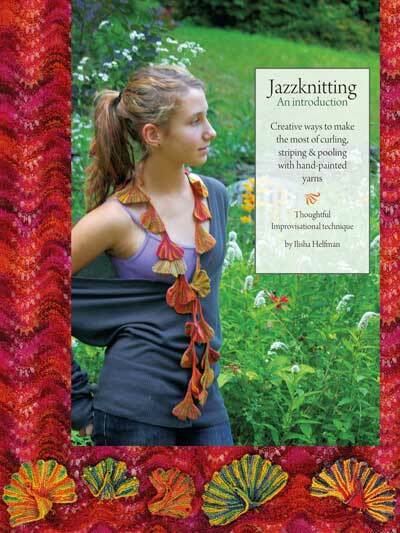 is a creative and liberating way to make the most of knitting's natural tendencies to curl, pool and stripe while using hand-painted yarns. Like Jazz musicians responding to each other's melodies, Jazzknitted shapes are directly affected by the dyer's decisions. Carefully chosen skeins can provide a wealth of possible knitted forms, each more intriguing than the next. Three brand new theatre designs. 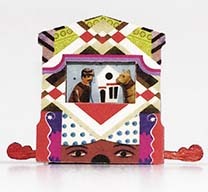 Each theatre comes with two puppets, 5 backdrops, and a beautiful paper box. They are being introduced at the Chicago International Showcase of Miniatures on April 11. They will be available on-line starting April 24, 2014! for US sizes 0–11 with metric variations. 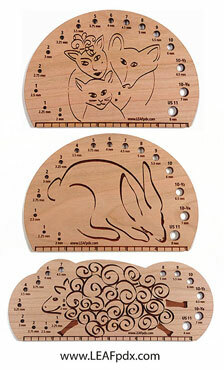 Horizontal gauges have a 6-inch ruler and rounder gauges have a 5-inch ruler. Wholesale inquiries welcome. Customizing available. Email ilisha@LEAFpdx.com for pricing.